Cover of the 1938 1st Edition. It was Julia Child’s favorite cookbook. 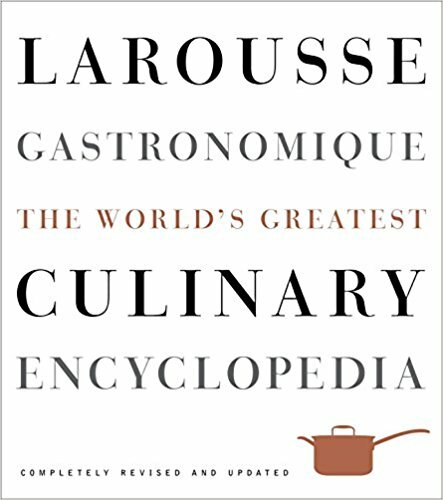 "If I were allowed only one reference book in my library, Larousse Gastronomique would be it, without question." Alice Waters, in her memoir, Coming to My Senses, wrote that in her formative years she spent hours and hours pouring over its pages. Dust Jacket from 1948 edition. While most would agree, the influence of Larousse Gastronomique on the culinary arts is profound, in my world of cookbook collecting, a first French Edition of Larousse (as it’s lovingly nicknamed) is one of the holy grail acquisitions. Not only is the design of its cover exquisite, but its contents are considered to be 101 for anyone trying to claim real cooking cred. Contrary to popular belief, Pierre Larousse was not a famous French chef who competed toe-to-toe with Escoffier for cookbook and culinary fame. Pierre Larousse was, in fact, an encyclopedist who had no real culinary ties at all. 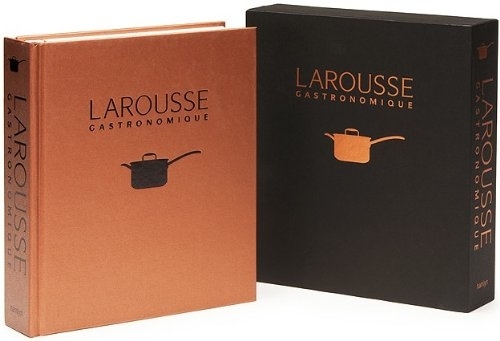 The title, Larousse Gastronomique, comes from the publishing house he founded, Éditions Larousse, which was, and still is, famous for their reference books and dictionaries- not cookbooks! 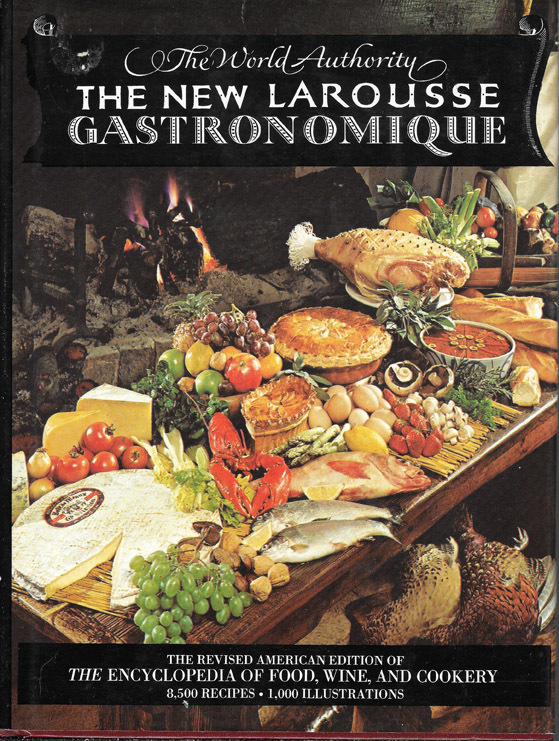 Larousse himself had been dead over 60 years when Larousse Gastronomique was published. Pierre Larousse had no culinary ties whatsoever. He was famous for writing dictionaries and encyclopedias- not cookbooks! He founded the publishing house Éditions Larousse & died 60 years before Larousse Gastronomique was even written! 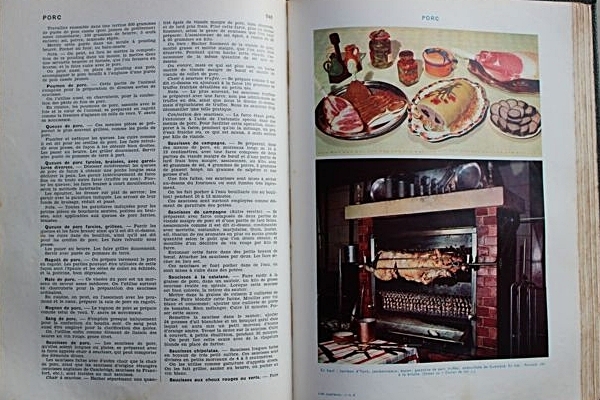 The author/editor of Larousse Gastronomique was actually a chef by the name of Prosper Montagne. Unlike Pierre Larousse, Montagne was a French food superstar. He ran in the same dazzling culinary circles as names like Antoine Careme, Emile Fetu, Phineas Gilbert and, of course, Auguste Escoffier. These men were the forefathers modern French cuisine. They shaped Nouvelle Cuisine, Haute Cuisine and the world of fine dining as we know it today. Prosper Montagne, the actual author/editor of Larousse Gastronomique who was a contemporary of Auguste Escoffier. Auguste Escoffier, culinary superstar who wrote the original introduction to Larousse Gastronomique at Montagne's request. Like Larousse, Escoffier had also passed away by the time Larousse Gastronomique was first published in 1938. But in 1935, just before his death, Montagne shared an early manuscript with Escoffier to ask both for his opinion of the book and if he’d write the introduction. Urban myths of rivalry were born from Escoffier making direct mention in his introduction text to the fact that many of the methods documented in Larousse Gastronomique were the same that he used in his own revered culinary tome, Le Guide Culinaire. This was not necessarily intended to competitively call out Montagne for culinary plagiarism, but instead to draw a common connection in the desire to authoritatively preserve the fading techniques of French cuisine. Montagne had learned much from Escoffier (who hasn’t?!) and that showed through in the text. This desire for cultural preservation, not culinary glorification, was far more the reason Larousse Gastronomique was written in the first place. By the 1930’s, there was already a fearful notion in France that the oral traditions of true French cooking, especially the beloved peasant techniques, were dying with the older generations. Montagne’s whole purpose in compiling the book was to record, in encyclopedic/Larousse style, as much information as he possibly could in one place, hence the size: It has almost 2000 pages & weighs eight pounds! Given all this heft, it seems a shame that Montagne loses out on literary glory due to the nuance of a name but, nevertheless, in the culinary realm, Montagne remains a God. 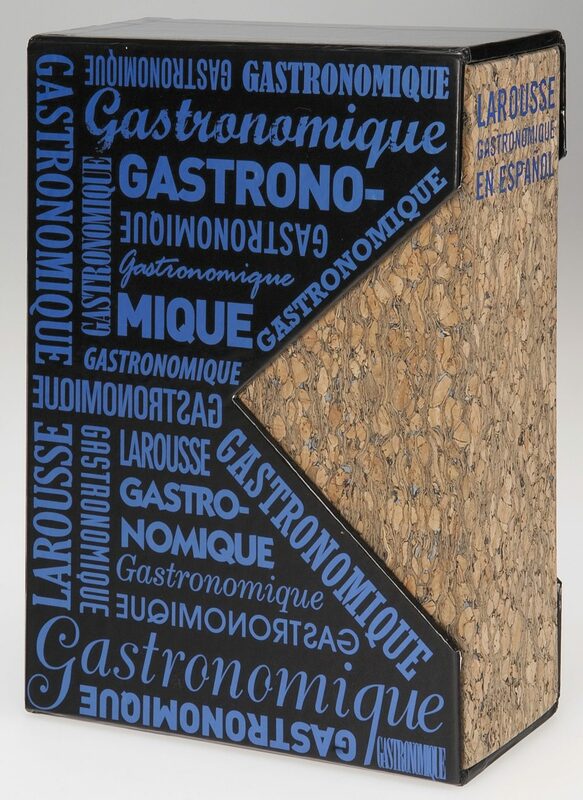 In writing Larousse Gastronomique, he created what many consider to be the Bible of French food and it should come as no surprise that, as happens with the translation of any biblical text, so goes the proverbial debate of new editions verses old editions when it comes to Larousse. Is its purpose to be compendium of French cuisine? Simply a cookbook? Or is it a culinary textbook intended to be followed to the gram of each recipe? Purists say the 1938, first French edition is the only true version. Good luck if you don’t parlez francais. They might offer some forgiveness to the 1961 first English edition, but that’s because editor, Charlotte Turgeon, reverently translated each word to be as true to the French text as language would allow. It took her years! Dust jacket of the 1961, 1st English translation. Charlotte Turgeon, editor of 1st English edition. This edition is one that might be easily overlooked during a weekend thrift store hunt because of the cover’s dated food photography. However, once you know what you’re looking for, the size makes it a dead give away… as often does the price! Others, under the banner of changing times, have dubbed the original edition more outdated than relevant and have added and subtracted content to create their own edits which encompass new trends and tastes. Evolutions in technology, increased access to ingredients and new spins on traditional techniques all come into play here. The point of the book, lest we not forget, was to document the culture of French food, which was already quickly evolving when Montagne originally wrote Larousse Gastronomique and many remarkable meals have been made since. Can you imagine even having a discussion about the food of France without noting Nouvelle Cuisine or the the kitchen accomplishments of men like Paul Bocuse, Fernand Point, or Roger Vergé? Reissues from the 1960's through the 1970's/ Julia Child craze looked largely looked the same. Then the fancy American Francophile, a la 1980’s Wall Street NYC, entered into the picture. Publishing was also in its heyday and an ever increasing number of “experts” were suddenly using their own edits of this classic to solidify places in the culinary ranks of greatness. Enter Robert Courtine’s overhaul 1984 which was conveniently timed to drop just in advance of Larousse Gastronomique’s 50th year anniversary which occurred in 1988. Commemorative slip-covered versions are, of course, de rigueur! Whatever your stance, culinary purist or casual kitchen cook, we can all agree on one thing: This is one of the most beautiful, important & influential cookbooks you can possibly have in your collection.